A run of the mill revenge plot. C’mon people I am getting too good for these “mysterious” story lines! 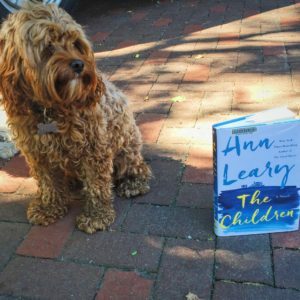 Twenty nine-year old Charlotte Maynard is the main character in Ann Leary’s “The Children”. She has a bit of Agoraphobia. She hardly ever leaves her room and never leaves the property. Luckily, her income comes in from a blog she created so she isn’t really forced to move. Also fortunately enough, her love interest lives in the caretaker’s house next door. Easy set up! Life is seeming not too shabby. That is until she meets her stepbrother’s fiance, Laurel. A beautiful, athletic, and successful woman who befriends Charlotte. What could be the problem? Ha! Lies, secrets, and violence comes to fusion. As many of you know, I am a huge fan of Dateline and 20/20 so I thought this book would be an awesome way to kick off the summer with a jolt. Sadly, “The Children” was more of a sizzle. The characters were interesting because they all suffered from mental illnesses but even with that issue they still seemed blah to me. How is that possible? Mainly, because Ann Leary barely got in depth with any of them. Maybe too many characters and too much jumping around? Also, the “deviant” in this novel was far too easy to pick out. She was walking around with a target on her back the whole time. I would feel comfortable even Sadie would be able to pick her out! All in all, great set up of a story – rich family living on an estate with a bunch of pent up animosity toward one another. Shockingly enough, the intensity ends after the first chapter. The reader is left with a lot of day in and day out whining and boringness. I gave it a little above 3 stars because it was SUPPOSED to be a suspense thriller and that is where my heart lies. If you are looking for something fun instead of this flop, I would suggest “Second Life” by S.J. Watson. That will 100 percent keep you on your toes. i completely agree with you – but, that said, I really enjoyed it. Maybe biased because I like the author so much – esp her The Good House. Are you in Goodreads? Agreed! I am definitely not going to let this stop me from trying her other works. Which has been your favorite?